Reliance Group's Unlimit — an Internet of Things (IoT) venture for enterprises — and tech giant IBM on Monday announced a collaboration to co-create IoT solutions for industry verticals, including automotive, insurance, utilities and industrial automation. The two companies are developing IoT solutions for implementation across Reliance Group companies, addressing key segments such as user-based insurance (Reliance general insurance), asset and vehicle tracking (Reliance commercial finance), tower monitoring (Reliance communications) and transformer maintenance (BSES & Reliance energy). "With 2.7 billion connected devices and growing, Indian economy, enterprises and consumers are embracing IoT at a rampant pace," Harriet Green, General Manager, Watson IoT, Customer Engagement and Education, IBM, told reporters here at the first-ever IBM 'Genius of Things (GoT)' summit. "Our collaboration is an example of IBM leading the global IoT movement with a growing ecosystem of clients and partners. This underscores how IBM and 'Unlimit' are taking the power of IoT to Indian enterprises and capturing the phenomenon of digital disruption for joint client innovation," she added. As part of the collaboration, IBM will provide its Watson IoT Platform to collect and connect data, including sensor data, from devices and provide use-case specific dashboards. "As India is becoming the hot bed for digital disruption, we are confident that our powerful technology platform, with Watson IoT at its core, will provide enterprises with a flexible, scalable and secure solution," Juergen Hase, CEO, 'Unlimit', told reporters here. Unlimit will design IoT use cases for various industries in the Indian market and build them on the IBM Watson IoT Platform, which provides device registration, IoT rules, advanced analytics, visualisation, reports and cognitive capabilities for each use case. As a result, rather than approaching businesses on one-by-one basis, Unlimit will provide customers with access to these capabilities so that they can leverage IoT-driven insights and information for business decisions, create new product offerings and revenue streams. The Unlimit IoT platform aired at the enterprise users was launched in April this year. Unlimit aims to provide a common platform for vertical industries such as automation, healthcare, agriculture, financial services and asset tracking. Green said that IBM's amazing Cloud capabilities enable all communication and infrastructure that is needed to work for the transformation of businesses. "We have a set of applications that allow us track, record and work together effectively through exceptional software. 'Watson', designed especially for IoT, also works as a differentiator for the company," Green added. Watson analyses the massive structured and unstructured data to help digital transformation of companies. IBM also announced key clients and partnerships with Kone, KPIT, Avanijal Agri Automation, Acculi Labs, Tech Mahindra and Arrow Electronics to drive IoT growth in India. 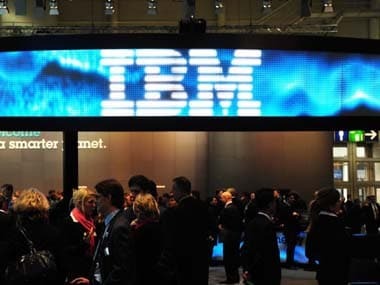 "With an unparalleled, growing global ecosystem of over 6,000 clients, 1,400 partners and 750 IoT patents, IBM is uniquely positioned to lead the IoT revolution across industries and help companies in India plug into critical new revenue streams," said Karan Bajwa, managing director, IBM India/South Asia. Through a multi-year agreement with IBM, Kone will tap into the IBM IoT Cloud Platform to connect, remotely monitor and optimise the management of millions of elevators, escalators, doors and turnstiles in buildings. KPIT, a global technology company that specialises in product engineering and IT solutions across several industries, will use IBM's IoT Continuous Engineering to deliver high-quality designs and connected products efficiently. Avanijal Agri Automation will use the company's 'Irrigation Automation System' solution to collect and log irrigation data from various sensors on the field for agronomical analysis which helps further enhance the yield on a continuous basis. Acculi Labs will leverage IBM's IoT platform to build and scale "Lyfas" — a scalable rural healthcare solution to smooth the flow of data from the edge device to cloud for further analysis and prognostics. With IBM IoT solutions, Arrow Electronics will offer more than 160 industry-leading cloud services such as artificial intelligence (AI), Blockchain, advanced data analytics and cyber security to customers. Tech Mahindra is harnessing IBM technology for designing experiences through orchestration of systems, sensors, devices, platforms, external data, back-end systems, analytics engine and much more.